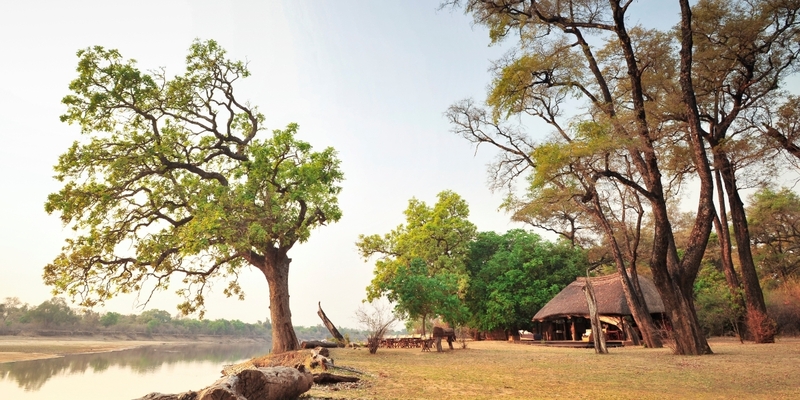 Mchenja occupies one of the very best locations of any camp in the South Luangwa National Park; overlooking a huge sweeping bend in the Luangwa River and in the deep shade of a beautiful grove of ebony trees. Mchenja translates as "ebony" in local Chinyanja dialect. 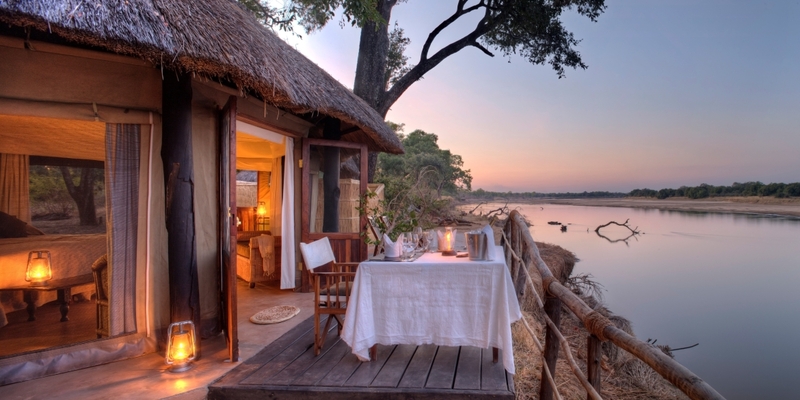 This elegant and stylish camp takes luxury to a level previously unseen in the Zambian bush. Mchenja is the flagship property of the fabulous Norman Carr Safaris, and caters for those travellers that like to retain a few home comforts and luxuries whilst still experiencing true wilderness in the bush. 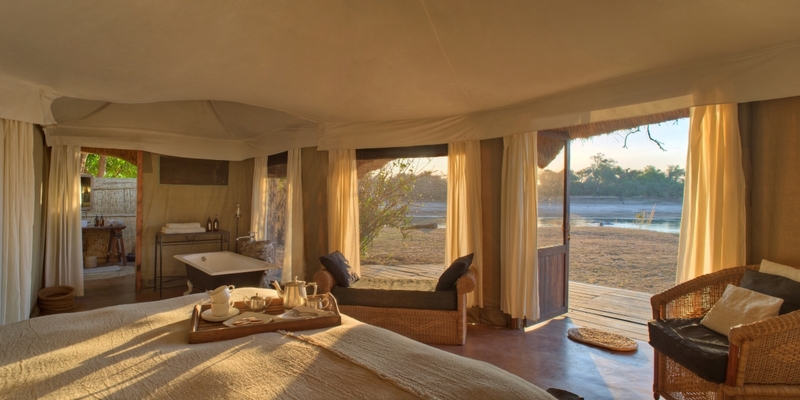 The whole camp has fantastic wide views of the river, and is situated in a superb game-viewing area where walking safaris, game drives and night drives are always productive and exciting. Elephants are known to drink from the plunge pool in the main area and lions and leopard are frequently seen wandering around the nearby ebony grove and permanent lagoon. 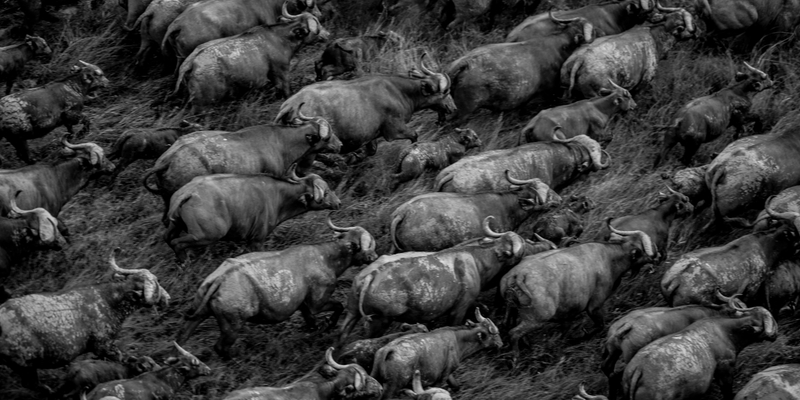 Mchenja is in an excellent game area and guests can choose to view the wildlife on foot or from an open game-viewing vehicle. 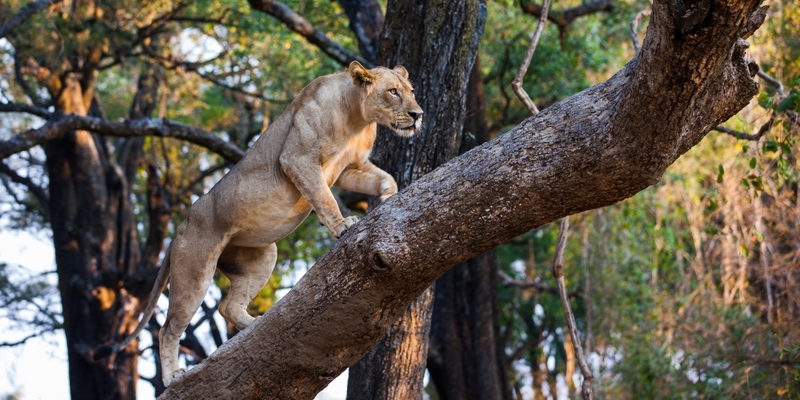 Most activities are operated around a walking safari in the early morning and a combination of walking and driving in the afternoon, when guests can extend through to a night drive in search of the nocturnal animals. 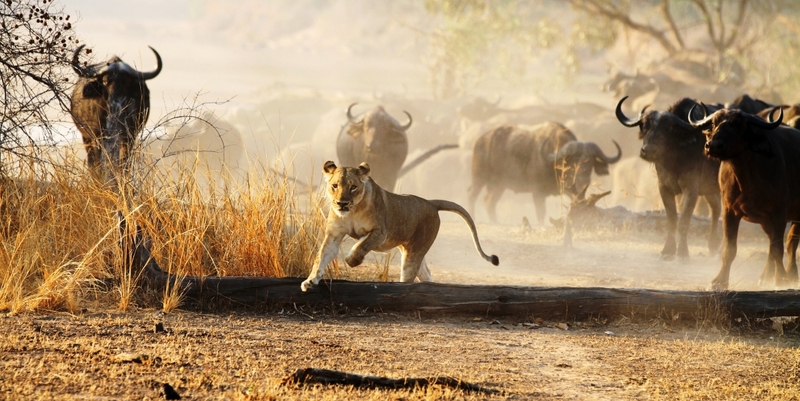 Generally the game drives head north, towards the Lion Plain area, or south into the north side of the park's main network of roads around Mfuwe Lagoon. 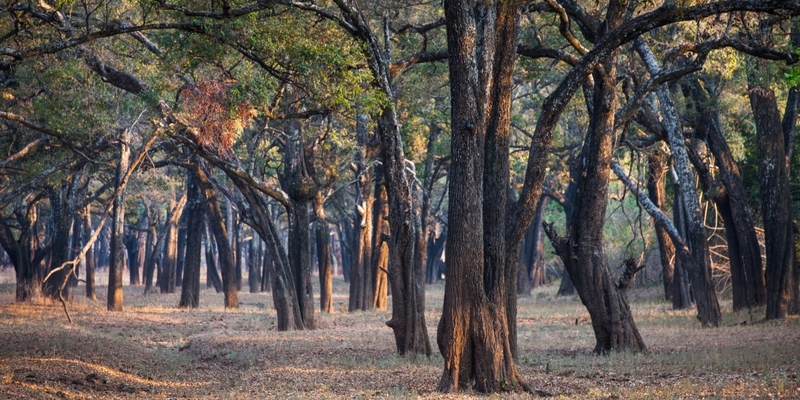 The walks usually weave in and out of the ebony groves which run alongside the main Luangwa River. The game viewing areas of Lion Plain and Fish Eagle Lagoon are spectacular and are very close by. 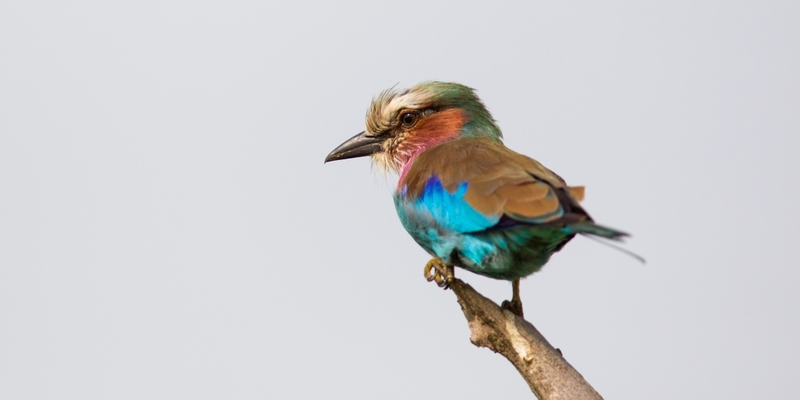 There is a high population of lion, leopard and elephant in the area, wild dog are occasionally spotted, and birding highlights include saddle-billed and yellow-billed storks, Pel's fishing owl, Lillian's lovebird and fish eagles. One aspect of the camp that is hugely appealing is the amount of wildlife which can be seen within camp. 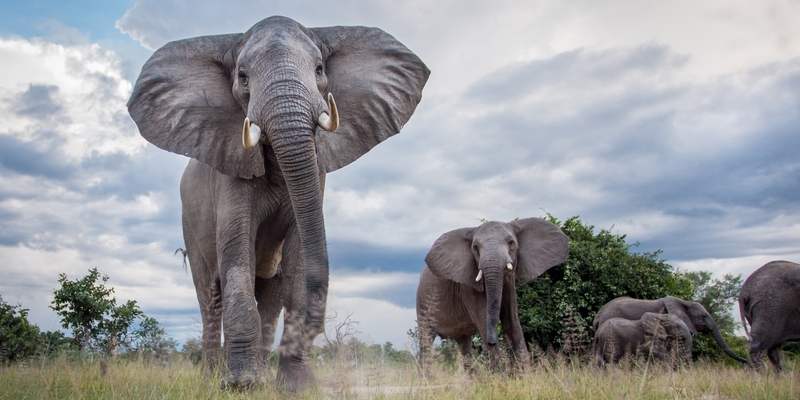 Elephants are commonly drawn in by the seed pods which fall from the trees, and can often be heard munching at night. There are tales of honeybadgers repeatedly raiding the kitchen and hyenas even stealing a leather-bound guest book. 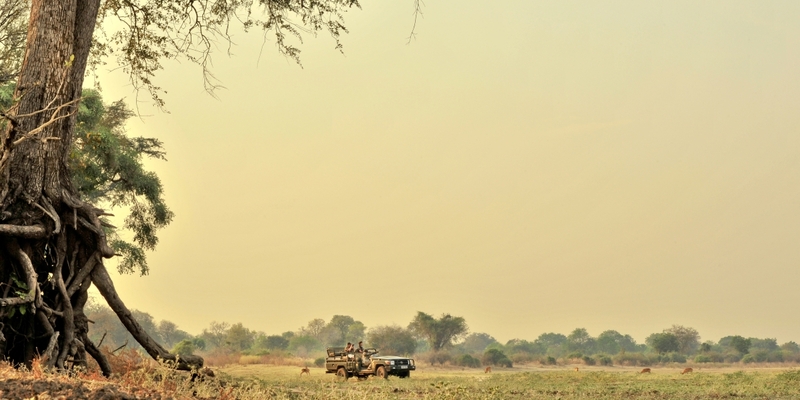 For the more adventurous guests, a private sleep-out can be arranged, where guests head out on a walk into the bush, in the company of an armed ranger and guide, to a specific location where a light mobile bivouac has been set out for the night. This simple camp consists of bedrolls around a campfire and guests enjoy a delicious supper prepared on the fire, sharing stories whilst listening to the sounds of the bush and investigating by torchlight the various animals that come and go. A night out in the bush under the stars is truly enjoyable and an unforgettable experience for Mchenja’s guests. Guest accommodation comprises five stylishly designed octagonal tents strung along the Luangwa River affording spectacular views from all rooms and private decks. Set far enough apart for privacy, the spacious tents feature elegant furnishings, large mosquito screen windows, Victorian-style baths with river views and open-air bathrooms. Built on polished concrete bases and protected by thatched roofs, these wonderfully maintained and luxurious tents are positioned either side of the main area, with three on one side and two on the other. 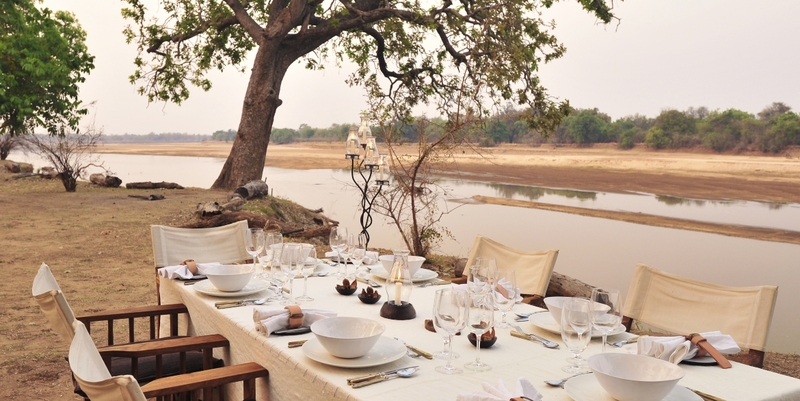 Each tent leads on to a manicured lawn that stretches out before dropping off into the Luangwa River. Mchenja’s beautiful open sided, main area (chitenge) has been creatively designed around a fallen ebony tree, utilising the trunk as the main support for the thatched roof. Inside encompasses the dining area, a well-stocked bar, a small library and a comfortable lounge area. On the deck, under the thatch, guests can cool off in the small shaded plunge pool and in front of the main area there’s a fire pit surrounded by chairs for pre-dinner sundowners.